Purchase Riedell Skates – 114 Pearl – Women’s Recreational Ice Figure Skates with Steel Luna Blade at Discounted Prices ✓ FREE DELIVERY possible on eligible purchases. 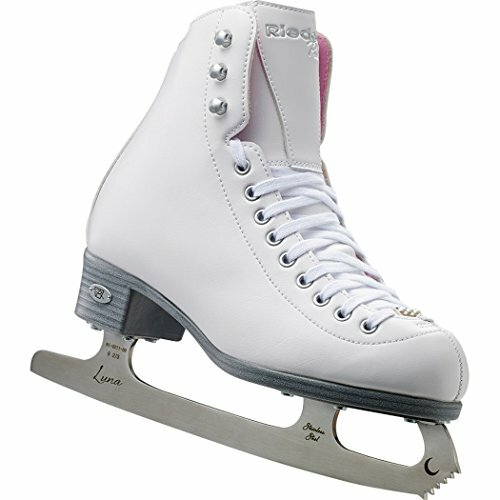 The Riedell 114 Pearl ice skate shimmers with style. Light support with double synthetic reinforcement. Added tongue reinforcement provides protection and strength. PVC sole unit with Dri-LexÂ® lining keeps feet dry. Padded Achilles Tendon collar provides a snug comfortable fit. The Pearl features a special lace bar for additional fun. The 114 Pearl set comes with the stainless steel Luna blade that provides great performance.